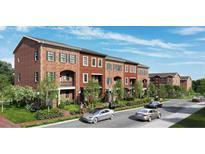 Find College Park, GA Homes for sale. View Photos, Maps and MLS Data Now! Close To Shops, Parks, Schools And Highways! MLS#6539701. Method Real Estate Advisors. *Alarm Does Not Convey With The Sale Of The Home* MLS#8565139. Real Estate Gurus Realty. 4915-A Has 3 Bedrooms/1 Bath 4915-B Has 2 Bedrooms/1 Bath These Properties Are Being Sold As-Is No Disclosures. MLS#8559279. All Over Atlanta Realty, Llc. 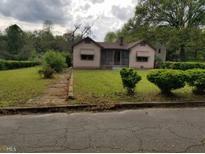 Great Home That'S Move-In Ready Or A Light Fixer-Upper With Amazing Potential. Sold-As-Is. MLS#8557278. New Generation Realty Llc. All Bedrooms Upstairs; Owners Suite With Walk-In Closet; Garden Tub; Separate Shower; Queen Suite With Walk-In Closet; Garden Tub; Separate Shower; Garage; Patio Backs To Wooded Lot; Near Hartsfield Airport/Marta/Shopping/Dining; Easy Access To Interstate; Community Pool And Playground; Conveniently Located MLS#6528105. Webb Solar Realty, Llc.. 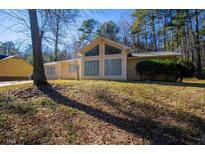 This Home Is The Hartsfield Floorplan. MLS#6526771. Compass. Great Opportunity! Submit Your Offer Today! 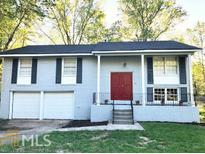 MLS#8549248. Worthmoore Realty. Traditional Brick 2-Story Condo With 2 Bed, And 2 1/2 Bath Renovated In 2015-2016, Downstairs Has Tile Flooring, Stained Cabinets, Carpet Upstairs, Bedrooms Have Their Own Bathrooms, Laundry Room Is Located In The Half Bath On Main Level, Private Patio, Convenient Location To Schools, Shopping, Atlanta, Highways, Airport, And Marta. MLS#6523751. Yates Estates. Traditional Brick 2-Story Condo With 2 Bed, And 2 1/2 Bath Renovated In 2015-2016, Downstairs Has Tile Flooring, Stained Cabinets, Carpet Upstairs, Bedrooms Have Their Own Bathrooms, Laundry Room Is Located In The Half Bath On Main Level, Private Patio, Convenient Location To Schools, Shopping, Atlanta, Highways, Airport, And Marta. MLS#6523769. Yates Estates. Traditional Brick 2-Story Condo With 2 Bed, And 2 1/2 Bath Renovated In 2015-2016, Downstairs Has Tile Flooring, Stained Cabinets, Carpet Upstairs, Bedrooms Have Their Own Bathrooms, Laundry Room Is Located In The Half Bath On Main Level, Private Patio, Convenient Location To Schools, Shopping, Atlanta, Highways, Airport, And Marta. MLS#6523777. Yates Estates. Traditional Brick 2-Story Condo With 2 Bed, And 2 1/2 Bath Renovated In 2015-2016, Downstairs Has Tile Flooring, Stained Cabinets, Carpet Upstairs, Bedrooms Have Their Own Bathrooms, Laundry Room Is Located In The Half Bath On Main Level, Private Patio, Convenient Location To Schools, Shopping, Atlanta, Highways, Airport, And Marta. MLS#6523744. Yates Estates. Title Is Being Transferred Via A Quit Claim Deed. MLS#6523826. Atlanta Communities. Separate Dining Room Adjacent To Living Room . MLS#8544955. Intown Focus Realty Llc. This Ones Just Needs Cosmetic Updating Only Estate Sale And Being Sold "As Is" Wonderful Opportunity For A Fixer Upper Or Investor. 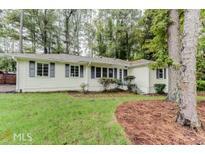 MLS#8544848. Patti Ayers & Associates, Inc..
Go And Show. Supra At Front Door MLS#8544317. Metromax Properties, Inc..
Conveniently Located Near The Airport, Downtown Atl & I-85! ! 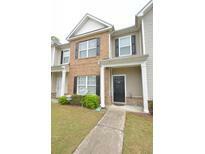 MLS#8542943. Lakes Georgia Real Estate. Affordable Opportunity To Live In This Area. MLS#8542166. R & R Property Sales & Mgmt..
Wexford - Call Us Today, Your Future Home Awaits! MLS#8541129. All 3 Realty Llc. Cochran Mill Park Is 10 Min Away Which Has Miles Of Walking Trails. MLS#8540459. Barfield Realty Llc. Don'T Miss Out On This Great Opportunity In A Fantastic Location! MLS#8538938. Keller Williams Rlty Atl. Part. 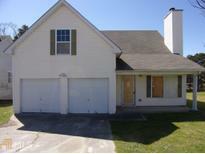 (Property Does Not Qualify For Fha And It Has Rental Restrictions) MLS#6514814. Keller Williams Rlty-Ptree Rd. Contact Your Local Agent To Schedule A Showing And Make An Offer Today! MLS#8536996. Owners.Com.